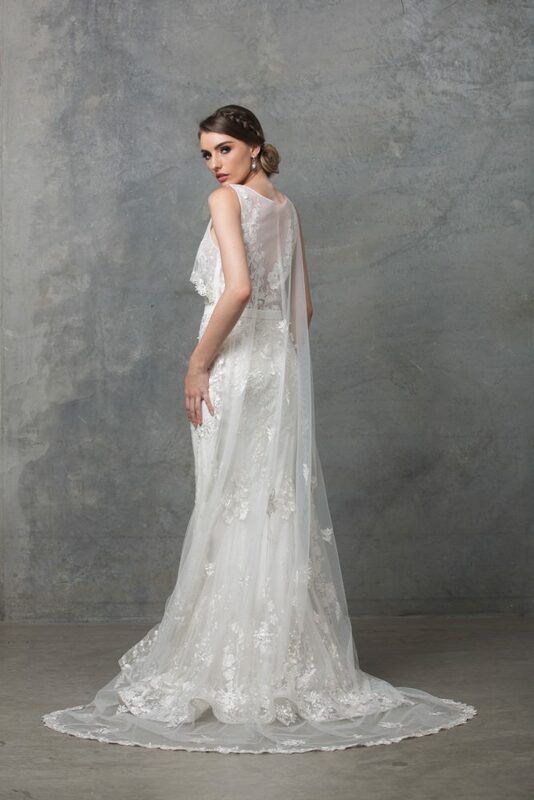 Garden goddess, the stunning Lilith gown is modern vintage elegance. Featuring an attached sheer cape overlay bodice, adorned with floral lace applique and delicate beading for added twinkle. 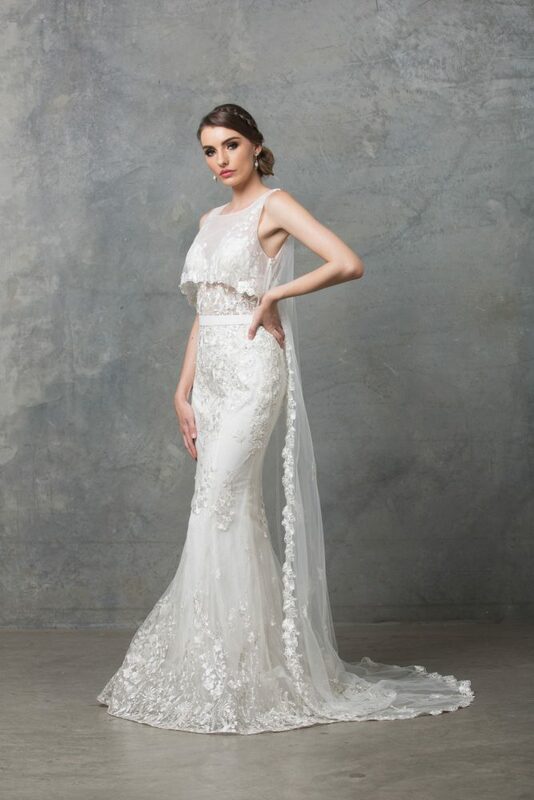 The waist is defined by a thick band to break up the patterned design and give shape as the skirt fits and flares through the appliqued hemline. An invisible side zip and clear clip at the shoulder is used for a smooth finish closure. 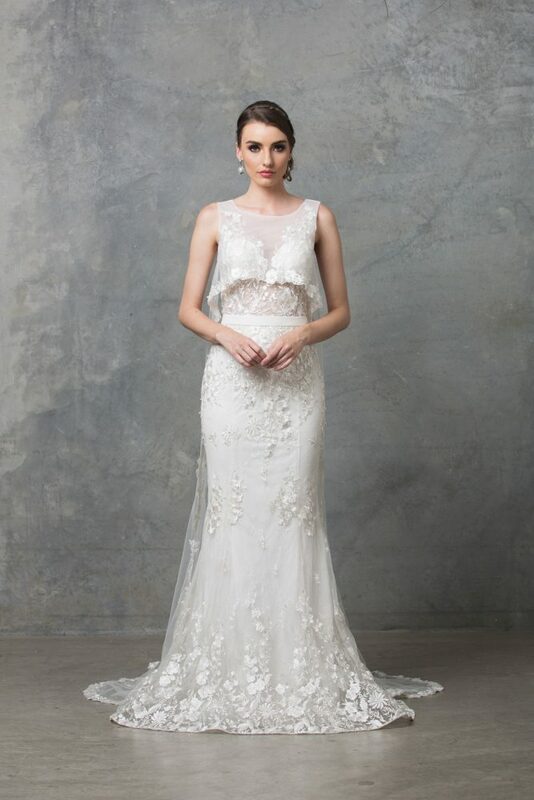 Romance and bohemian elegance in the Lilith wedding dress. Featuring a cape overlay bodice, adorned with precisely placed floral applique into a fit and flare style skirt. 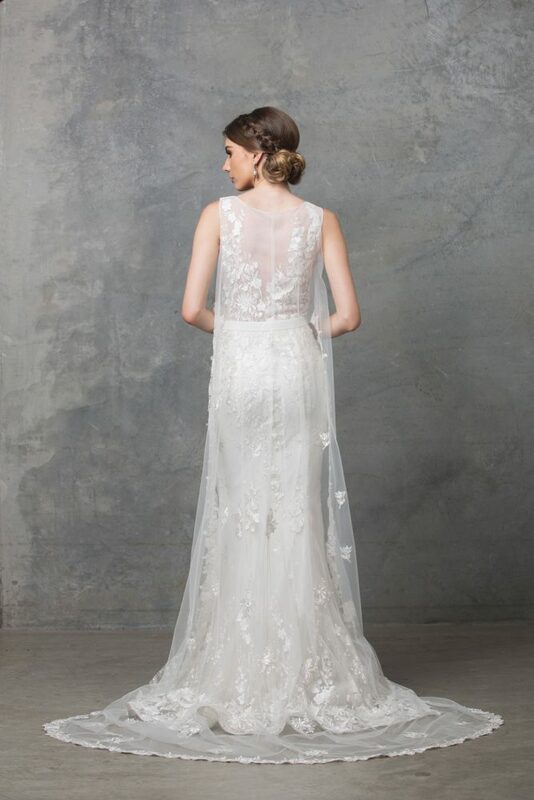 The back features an illusion design of floral lace into a semi-low design. 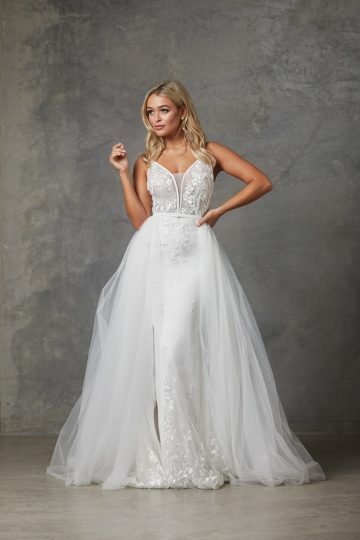 This bridal gown is perfect for destination or garden style weddings.The gowns cut and design is flattering to a variety of shapes and sizes (6-20). To identify your size see your nearest Tania Olsen Designs stockist and they will correctly measure you and assist with selecting your size.